This is the first time being at a hackathon as a whole. I knew about them and loved to participate in one eventually. My good friends ask me last moment to join them to be on a team. We get here and brainstorm ideas. We come up with a great helpful app idea until it came crashing down and we all got frustrated at trying to get apps and python to work together. Long story short the second day came and my two partners came up with a small idea early in the morning. They asked themselves how they felt and they said upset. Why were they upset? They couldn't get their app to work. How can we deal with this emotion? This question led to them making a program that told you what the definition of an emotion was, by asking the user roughly how they feel. Then asking which specific type of that emotion do they relate to most or want to understand more about. This would then print out a definition style print out. Things were looking up and I was excited to create my first Hackathon hack! Unfortunately, the worst came again, the two got sick and had to leave. I wanted to continue on because I felt like I could get at least something done from all I had learned already from this weekend. I powered on through becoming a solo team! I continued coding it and got the basic version working in python. I had extra time and thought of using extra hardware with it. I checked out the Dragon Board 410c and decided to get try to get the program to run in Linux. while trying to get the Dragon Board running I kept hitting roadblock after roadblock. I felt discouraged a little at first but once I had a small version of the program working I got all my energy back. I pushed through and asked some others for help with an error that wouldn't go to the final part of the program. One thing led to another and I got it to work! Once I saw it run once smoothly on the Dragon Board I literally yelled out for joy. I felt enticed for so many reasons. I created my very first program from using no base of another program. I learned so much from this hackathon to do this. I found out I like working with Linux. But, most importantly of all, its the start of something that could be expanded that can help others and that's my main goal in life is to help others. 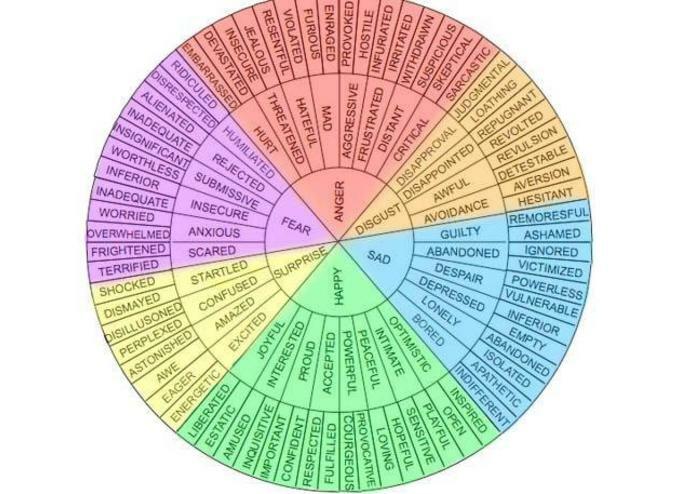 For next time, or on personal time, I would like to definitely like to add more major feelings or categories. Added a way for the user to choose if they would like to go to a site that it explains it further and how to deal with said emotion. This would be the user copying the URL or I would like to have a prompt asking the user if they would like to go to the site and after answering yes it would bring up a browser window of the appropriate site. Started out on a team as the Organizer of the group, then I became a solo group. Edited 80% of the Python code and learned how to use Linux on a Dragon Board to run my Python Project. Learned a LOT about Python, how to use a Dragon Board, Linux, and how enjoyable hackathons are!